The Prime Minister of the Netherlands Mark Rutte visits Justin Trudeau, Prime Minister of Canada as part of a trademission. During their meeting, Prime Minister Trudeau and Prime Minister Rutte will discuss – among other topics – our countries’ common commitment to build economies that benefit everyone, champion free trade and fight climate change. 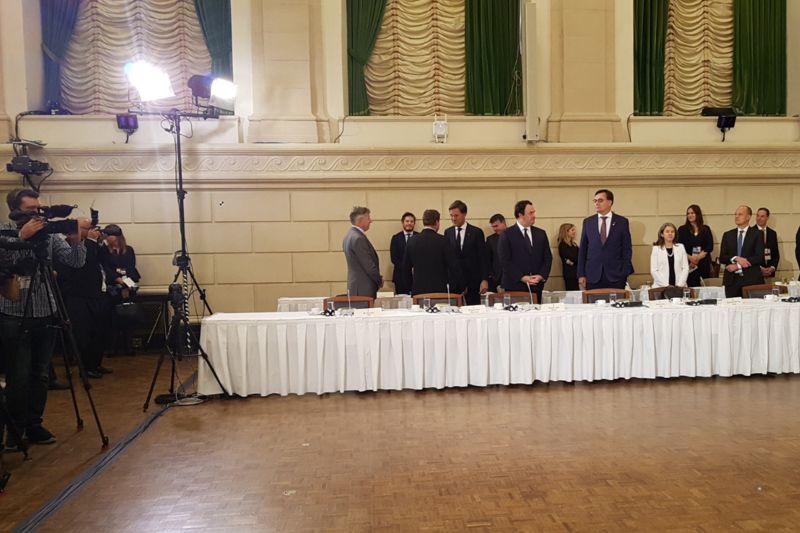 They will also explore how to further leverage the Canada-European Union Comprehensive Economic and Trade Agreement (CETA), which is creating good jobs, growth for the middle class, and new opportunities for people and businesses on both sides of the Atlantic. 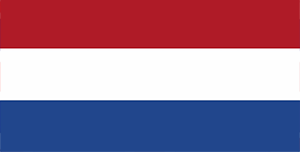 Mark Rutte will be accompanied by a number of key businesspartners from the Netherlands that have contributed significantly to Dutch-Canadian trade relations. Among them is Yvo Veenis, Managing Director of Groundwater Technology. Groundwater Technology has been active in Canada for a decade now. We regularly participate in trade missions as well as frequent visits to Canada associated with projects that we do in Canada and meetings with clients, government officials etc. all over Canada. Our most recent three projects are associated with stabilizing soils so that they will remain stable during earthquakes and excavations. In this particular case, the occasion to travel to Ottawa is the visit of His Excellency Mark Rutte, Prime Minister of The Netherlands, to Canada, today on October 25th 2018. 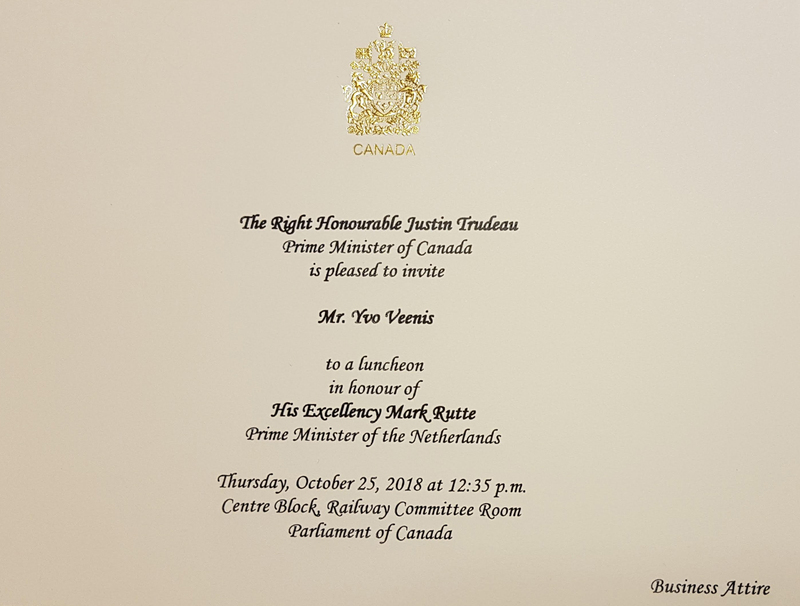 On this occasion, The Right Honourable Justin Trudeau, Prime Minister of Canada, invited me to a luncheon in the honour of Mark Rutte, Prime Minister of The Netherlands. We were invited to participate in these events by Mr Henk van der Zwan, Ambassador of The Netherlands in Canada and Ms Anne Le Guellec, Consul General of The Netherlands in Toronto. Groundwater Technology & Yvo Veenis bring 30 years of experience in cleaning-up contaminated land without excavation. Going through a paradigm shift, we expanded on this experience to stabilize loose sand by making indigenous soil microbes produce a natural cement. We are demonstrating this in the Lower Fraser River, near Vancouver, working for the City of Richmond. Their land is at sea level, so climate change induced sea level rise as well as increasingly intense spring freshets (high water in the river caused by melting snow) exposes a million Canadians to a major risk of flooding. The protective dikes require major improvement. However, the area is in an earthquake prone zone and the sand under the dikes is likely to turn into liquid mud during an earthquake. In that case the dike (or any other structure) will collapse and disappear completely into the river, leaving the land open to massive flooding. We have demonstrated that microbially produced natural cement can prevent this. We have also demonstrated this successfully in Toronto, for Waterfront Toronto, at the Port Lands Redevelopment project, where the sands are very unstable. Natural cement turns this into a stable soil that is suited to develop a natural environment, stable banks for the Don river and solid foundations for roads and recreational pathways. We use indigenous microbes, naturally abundant in every soil across the globe. We continuously innovate our technology, working with science institutions. In the ‘90s we imported Canadian-developed technology, and adapted that for successful deployment in Europe. Now we are exporting Dutch technology to Canada. Since 2008, we have been actively pursuing exporting our know-how and experience to Canada, with full and much appreciated support from both the Canadian government (Canadian Embassy in The Hague, MOECC in Ontario, City of Brantford (ON), Waterfront Toronto, City of Richmond (BC), Federation of Canadian Municipalities) and The Netherlands government (Embassy & consulates, Foreign Affairs and Economic Affairs). In 2014, the Dutch embassy & consulate nominated us for the Ambassador Award. Minister Ploumen presented us with the runner-up award that the 2014 ambassador meeting. That same year, the Canadian Urban Instituted award us with a ‘Browny’: a reward for innovative urban brownfield redevelopment.